Coat of arms of the Grand Duke of Tuscany and the Grand Prince showing the Grand Ducal crown.. 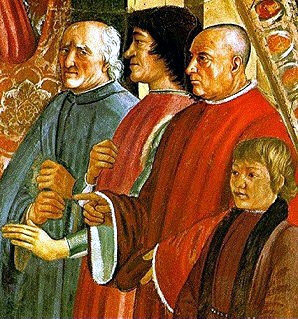 The House Medici (pronounced med-ee-chee) or Medici family was a very important family in Florence, Italy from the year 1300 to about 1600. They were the richest family in Europe for many years. 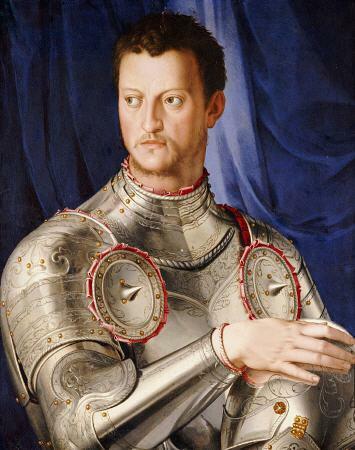 Many leaders of Florence during the Renaissance were Medicis. The Medicis were important because they ran many banks, including the most important bank in Europe. They were so powerful they became like a royal family. 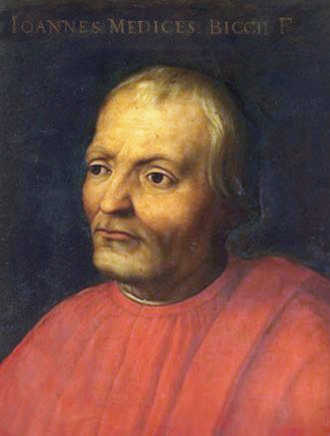 4 popes of the Catholic Church were from the Medici. Their names were Pope Leo X (the 10th), Pope Clement VII(the 7th), Pope Pius IV (the 4th), and Pope Leo XI (the 11th). 2 Queens of France were from the Medici - Catherine de’ Medici and Marie de’ Medici. 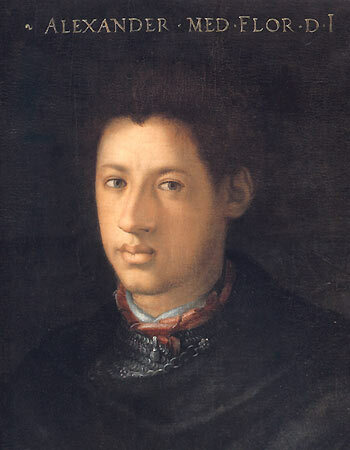 The heir to the Tuscan throne was traditionally known as the Grand Prince. The family ruled the state with the title of Grand Duke of Tuscany. The family of Piero de' Medici portrayed by Sandro Botticelli in the Madonna del Magnificat. 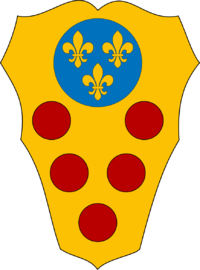 House of Medici Facts for Kids. Kiddle Encyclopedia.